The Low Boy Roller Stand meets the height requirements of today’s hard working photographers, whether that’s a sitting workstation or a high overhead studio strobe setup. The smooth rolling, 3" non-marring hardened rubber locking wheels make it easy to move around the studio and its heavy duty, chrome-plated steel and aluminium spring-loaded risers are great for mounting monitors. Raise the two spring-loaded risers to a max height of 1.8m and mount a monitor using a Rock Solid VESA Monitor Mount, tablets using an X Lock Case or AeroTab, as well as strobes, studio lights, and other gear on the 5/8″ knurled baby stud, then lock everything down using the large, ergonomically-designed grip knobs. 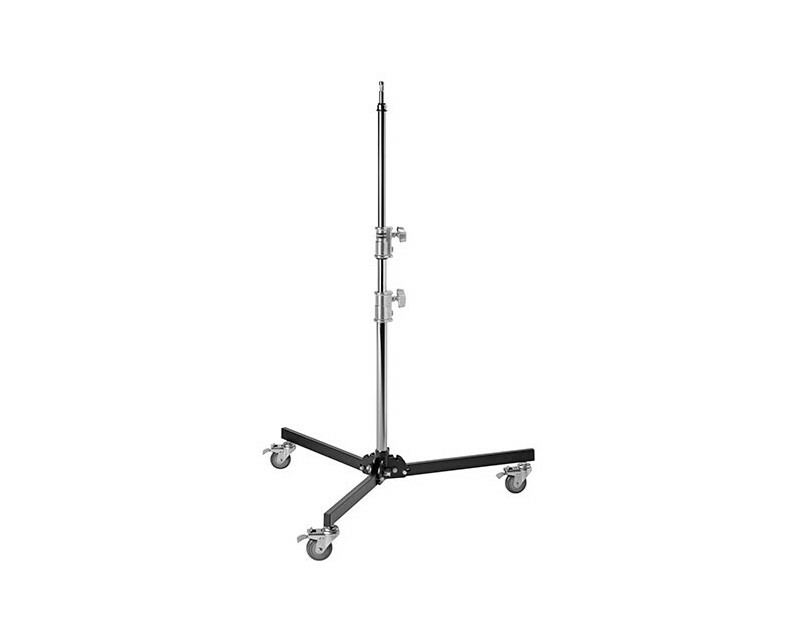 Cushioned rubber rings on the risers safeguard your gear from unnecessary bumps and vibration, and the optimal wingspan on the base and locking wheels ensure that this stand will remain stable and upright.